Entrepreneur Platform is a business and entrepreneurship platform focused on helping old and Young entrepreneurs build better and sustainable business of any type. There are tons of articles and Videos on entrepreneurship, Business, Marketing, Tech, Blockchain, finance, Startups, Growth, Development, News and Events. The online Hub and Magazine Company is focused on helping Africans become the best when you talk about inspiration and hustle. Entrepreneur Platform is a business publishing Brand/Franchise of Gudtalent and Co Nig Limited. Registered under the Corporate Affairs Commission with RC Number: 1483874. We want to see a place where Africans will call their own, Nigerian Number one go-to source on topics related to BUSINESS and ENTERPRISE. At the moment, there is no standard business website/blog in Nigeria that covers all topics in the mentioned category, rather there are all Niched. “Legit is news and politics, Entrepreneur Platform is Business and Enterprise”. Business – Business Ideas, Business Plans, Start-Ups, etc. Life Hacks – motivation, leadership, advice, strategy, personal finance, etc. Technology – Social Media, Apps and Software, Gadgets, Tech Reviews, Blockchain, etc. EN Exclusive – Top Listing and Rating, Interviews and Nigeria Insider. In a quest to build and raise 1 Million African entrepreneurs, we became the official partner of SumoBank, a savings and investments platform from Sumo Tech Global Limited which is fully registered with Corporate affairs commission to allow users of Sumo Bank to have FREE ACCESS to our BUSINESS Academy which will go live in 2019. Also, Entrepreneur Platform is the official blog of SumoBank. Entrepreneur Platform was listed as one of the Top 10 business blogs in Nigeria by The Total Entrepreneurs – August 2017. 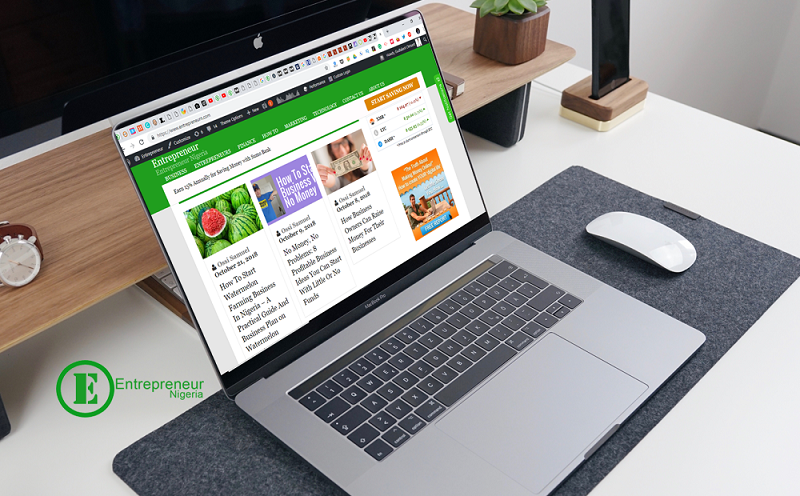 Entrepreneur Nigeria listed as top 10 entrepreneur and business blogs in Nigeria by Moss 9Ja – January 2018. To get In touch with us, kindly use our contact page or call Chris on (+2347037281050) for immediate response. Want to get more exposure to your business and brand to people who are interested in business and enterprise? See Our Advert Page for More details.